Dr. Barends is Vice President and Campus Director for Delaware Technical Community College, Owens Campus. 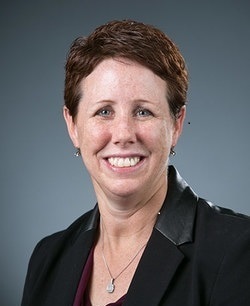 She has served in a variety of roles in higher education including adjunct faculty and Assistant Professor of Occupational Therapy at Elizabethtown College and Occupational Therapy Assistant Department Chairperson, Assistant Dean of Instruction, Acting Assistant to the Campus Director, and Dean of instruction at Delaware Technical Community College. She became Vice President and Campus Director for the Owens Campus in January 2017. Dr. Barends’ career has included teaching, advisement, faculty and staff development, campus and college-wide planning and assessment, oversight of marketing and public relations, fundraising and grant writing, program development and outreach to K-12, higher education and community partners. Dr. Barends earned a bachelor’s degree in Exercise Science from the University of Pittsburgh, a master’s degree in Occupational Therapy at Misericordia University, and a Ph.D. in Education from Walden University. She has served on numerous boards and committees including the Carl M. Freeman Foundation’s F.A.C.E.S advisory board, Friends of CASA and the 2015 Vision steering committee. Dr. Barends is a Court Appointed Special Advocate (CASA), an ex-officio member of Sussex County Economic Development Action Committee (SEDAC), and a board member for Kent-Sussex Industries. Dr. Barends is a proud mom of three amazing children – Jacob, Kennedy and Thien Thanh. She resides in Selbyville with her husband, Andrew, and their two daughters. Rachel Cimino is the Assistant Director of Financial Aid at Widener University Delaware Law School. Her career began at Widener University in 2011 when she joined the financial aid office as a Financial Aid Counselor. After a short period of time, she was promoted to Assistant Director. Her aptitude to learn and achieve had paid off. As her responsibilities increased, so did her desire to improve the student financial aid experience. She knew that there had to be an easier, less confusing way for their students to apply for financial aid. Rachel’s focus has always been to make the process as simple and easy as possible for the student. She knew that this could easily be achieved by streamlining some of their current processes. Rachel recently completed her Masters of Science Degree in Business Process Innovation from Widener University, graduating with a 3.94 GPA, the School of Business Administration Outstanding Student in the MS BPI Program Award for 2017-2018, and the SAP Student Recognition Award. She has since used the information that she learned through her schooling to implement several process improvements in her office, with the hopes to improve many more in the future. Rachel believes that anything can be accomplished through hard work, determination, and collaboration. In her spare time, she loves to spend time with her husband and travel. 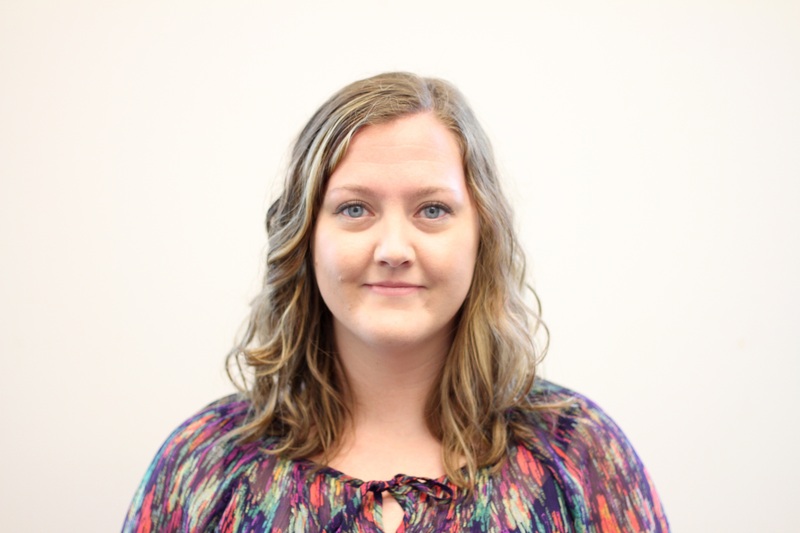 Elizabeth Fennemore, affectionately known as Liz among her family, friends and co-workers, has been with Goldey-Beacom College since February 2008 where she works as a Senior Advisor in the Financial Aid/Advisement Office. 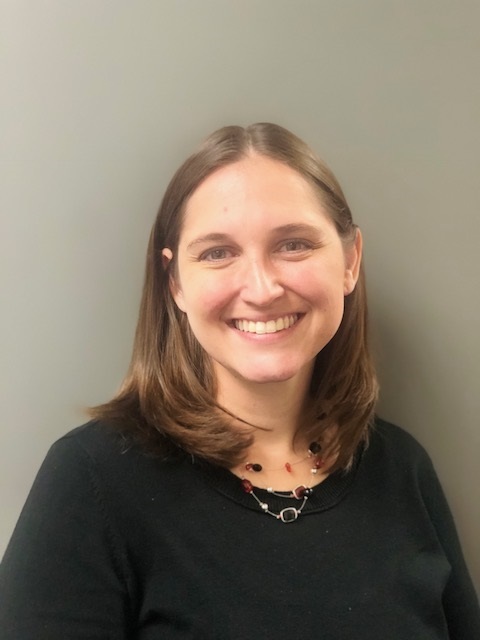 Her primary responsibilities include working closely with the Dean of Enrollment Management, assisting students with any questions regarding their academic course schedule and financial aid, and helping to provide registrar services to Goldey-Beacom College’s student population. Liz has also worked with over 300 undergraduate and graduate students. Due to her close work with international students, Liz has been a Student Exchange and Visitor Program Designated Official (DSO) since 2009. Liz’s unparalleled positivity engages students while helping them navigate their courses, schedules and other academic challenges. She has a unique awareness of others and their needs. This awareness, combined with her extraordinary work ethic, makes each student’s experience a personal one. She is conscientious, dedicated to her students, and able to find thoughtful, practical solutions for daily issues and potentially complex situations. Liz excels in her position due to her attention to detail and organizational skills. She also brings a daily lift to Goldey-Beacom College with her high energy and reliability. She graduated from the University of Delaware, where she completed her B.S. in Human Services, Education and Public Policy in 2005 and is now currently working on her Master’s Degree at Goldey-Beacom College. Outside of work, Liz enjoys baking cookies that her family and co-workers love to snack on. Liz also loves to spend time outside with her 4-year-old son, Zachary, her husband of 8 years, Kyle, and their chocolate lab, Lucy. 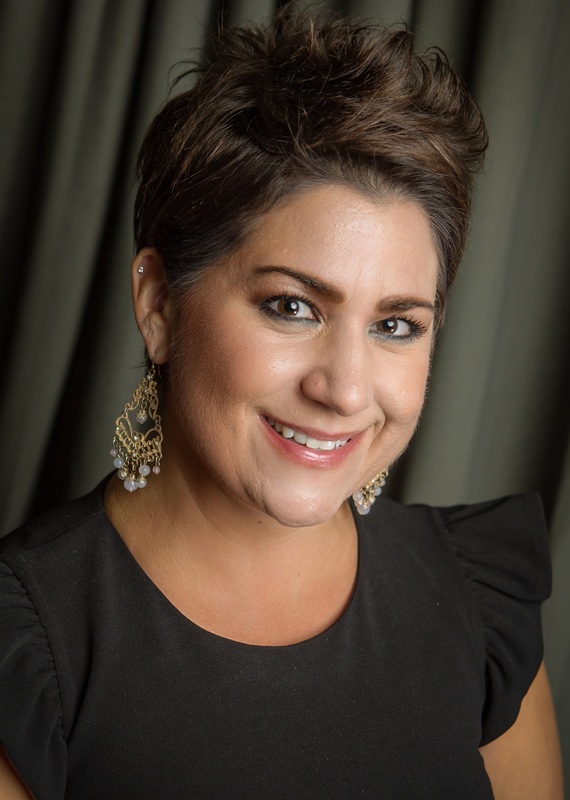 Lauren Godwin has worked in higher education for the last 18 years, in areas ranging from admissions, recruiting, financial aid and adjunct faculty. She received her Bachelor’s from Elizabethtown College in 1998 and her Master’s from Wilmington University in 2013. She first began at Wilmington University in 2008 as a Partnership Assistant and then became the Recruiting Coordinator in 2010. In 2014, she was promoted to Assistant Director of Recruiting and was instrumental in implementing Open House Events, Online Information sessions, the High School tour program and developing college partnerships. 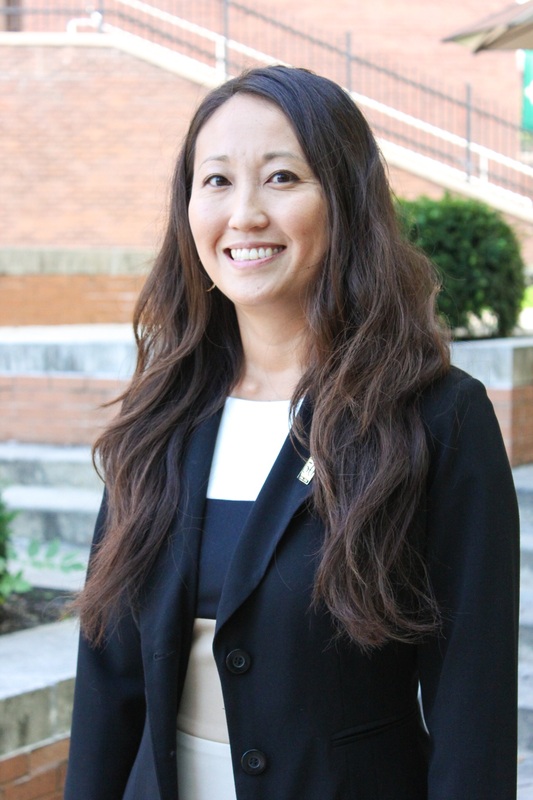 She has most recently been promoted to the Director of Admissions Services, where she is working to develop a new unit within the Admissions department that is responsible for assisting prospective students with the admissions and enrollment process. What you may not know is that Lauren began her career in higher education right here at Goldey-Beacom College in 2000. She worked in the Admissions department at Goldey from 2000-2006, and knew from the start that higher education was her true passion. Over the years, Lauren has also volunteered her time with the Delaware Adolescent Program. DAPI is an alternative fresh start for pregnant teens to receive the health and social services they need to continue education during and after pregnancy. Lauren was responsible for scheduling college visits with Delaware colleges and university tours for these young women. This program and these young ladies were inspired and motivated to continue their success with the knowledge, values and educational tools Lauren provided for them. Lauren currently volunteers in mentoring the WilmU Lady Wildcats basketball team. Lauren’s former supervisor had this to say about Lauren: Her energy and enthusiasm is contagious. Her professionalism, dedication and commitment to her job as well as to her peers is unmatched. Lauren is an amazing addition to our Wilmington University community. It has been a pleasure to work with her and I am honored to not only call her my colleague but my friend as well. Her current supervisor is thrilled to begin working more closely with her as they take on this new, exciting unit within the Admissions department. Lauren is an asset to the department and to the university community. Ms. Hopkins has risen through the ranks of the University from her days as a temporary secretary in the Office of Student Leadership and Activities to her recent appointment to the role of Director of Annual Giving in Division of Institutional Advancement. In fact, Dawn’s unfailing work ethic, integrity, and commitment to leadership within her sphere of responsibility has been recognized and afforded her five promotions within DSU since she joined the University in 2011! A 2017 graduate of the Central Delaware Leadership Program, Dawn holds a bachelor’s degree in Legal Studies from the University of Maryland University College and she expects to graduate with a Master’s in Public Administration from DSU in May of 2019. Although Dawn’s parents did not finish high school, they emphasized the importance of education to their children and Dawn intends to continue the legacy with her two lovely daughters. In her spare time, she enjoys finding creative ways to ensure that the horizons of her girls are broadened–that they look away from their cell phones and focus on pursuing their personal goals and dreams. Kate Matthews is an academic counselor at the George Campus at Delaware Technical Community College in Wilmington. Her responsibilities include recruitment, and she works closely with many community initiatives, programs and schools throughout New Castle County. Kate manages the dual enrollment partnerships for her campus, which is an opportunity for high school students to earn college credits. In May 2018, Kate implemented an Innovation In Action Grant to help high school seniors planning to attend Delaware Tech get enrolled. This initiative focused on overcoming barriers which sometimes prevent students from enrolling after high school graduation. She led a small team who tested, advised and registered students for the fall 2018 semester. Raised in Delaware, Kate earned a B.A. in Biology and a B.S. in Psychology from the College of Charleston. Her love for animals and science took her to Oahu where she trained dolphins, sea turtles, and stingrays. It was in a small, rural town of the Big Island of Hawaii that Kate started her career in formal education and taught high school math. In 2012, she earned her M.A. in Education and returned to Delaware. Kate has been with Delaware Tech for over five years and continues to follow her passion of helping others. Kate comes from a family of educators where the value of having a good education was instilled. It is because of her family’s love and support that she now shares the same support with students to encourage and push them to achieve their own goals. She resides in New Castle County with her husband and their dog. 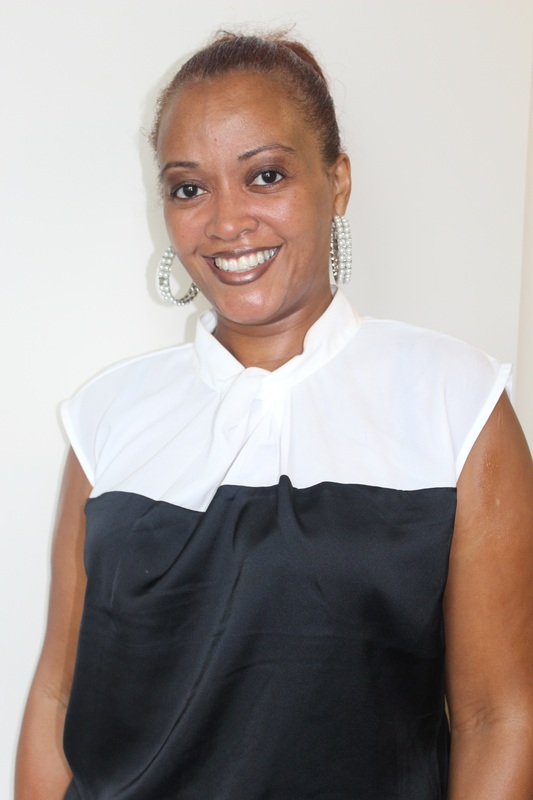 Nicole Young is an Academic Advisor in the University of Delaware Associate in Arts Program in Wilmington, DE. She completed her M.S. in Organization Leadership from Cabrini College and her B.S. in Professional Studies from West Chester University. Currently Nicole is working towards her Ed.D. in Educational Leadership from University of Delaware where her research focus is using technology to advance a collaborative framework of proactive and holistic student support services. She has been a part of the University of Delaware team since March 2016 and before that served the West Chester University community for eight years. As an Academic Advisor Nicole serves a population of about 450 students in downtown Wilmington and works to provide a holistic advising service to meet the unique needs of the students. In addition to advising, Nicole instructs First-Year and Sophomore Seminars, helping provide students strategies for academic success as well as career advising. As a member of the UD community, Nicole is committed to serving as an advocate for students. In addition to serving UD students in Wilmington, she serves the larger UD community by volunteering as an Affiliate in the Office of Student Conduct, serving as an advisor and on appellate boards for student conduct cases as well as sexual misconduct and non-discrimination cases. She also completed her LEAD Ally Certificate (Leveraging Equity and Diversity) and Management Essentials Certificates at the university this past spring. 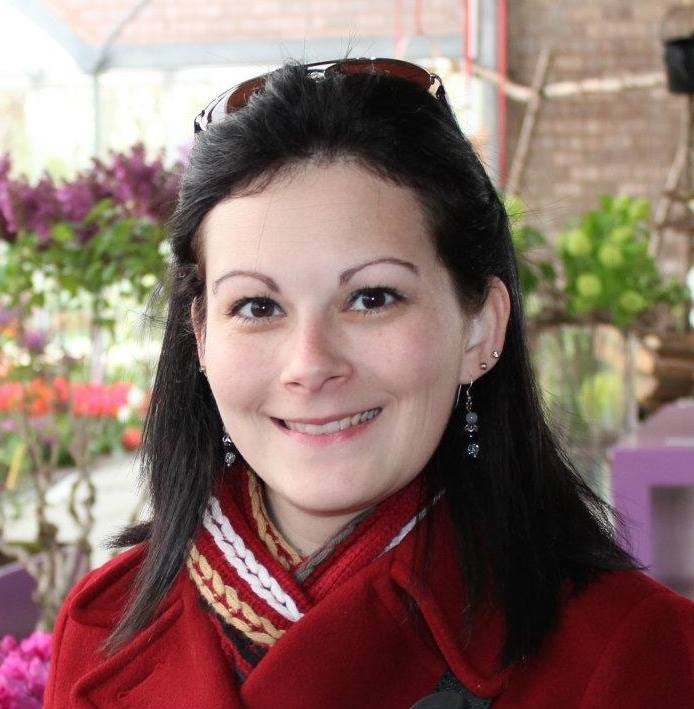 Nicole is an active member of NACADA, the Global Community for Academic Advising. Nicole lives in Avondale, PA with her husband Bill and her old dog Choochie. Outside of her work in education, she loves paper crafting homemade cards and scrapbooks and hiking in local and national parks.